A student writes: "I have noticed that if (during practice) scales or runs begin to feel a bit uneven or bumpy, this can often be corrected by playing the scale or run up and down four octaves at a moderate tempo while randomly stopping momentarily just before playing a particular note (i.e. stopping short and then continuing without any preconceived pattern in mind). The “stopped” finger (the one that would play next) is held back from playing for a quarter-note rest, and then I continue on for a few more notes before stopping again with another finger, etc. My best guess is that the sudden stopping of a finger and then releasing it has the effect of contracting and then releasing opposing muscles that I was allowing to tense up. This random-stoppage approach seems to add something to the rag-doll relaxation-and-shake-out approach to creeping tension." Without seeing what he is doing, it is difficult to diagnose the unevenness of his scales. What he describes as a remedy strikes me as arbitrary and perhaps less reasonable than examining underlying causes. 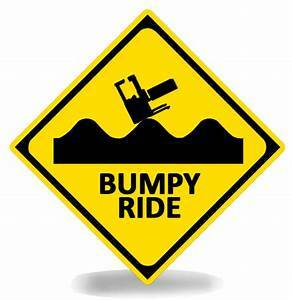 Usually "bumpiness" is the result of a misunderstanding of how the thumb works in crossing. When anticipating a thumb crossing, allow the thumb to hang—yes, hang—behind the next finger. It should hang more or less behind the finger that is playing. Also, he should allow the forearm to move at an angle behind the playing finger in the direction of the music. This puts the playing apparatus in a perfect position to play the thumb rotationally. But first, he should make sure that he is really completing each note of the scale before going on to the next. This is an opportunity to review basic forearm rotation. 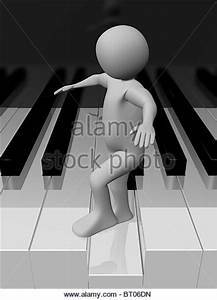 If the weight of the forearm is really transferred to each note as if walking, and if his fingers are each "at rest" at the bottom of the key, evenness should come easily. Feel the rotation a little exaggerated at first, but then in speed don't think of it at all. I know, this is what confuses a lot of people. In speed we rely more on shaping and the "memory" of the sensation of completing each note. There are video demos under the iDemo tab above.